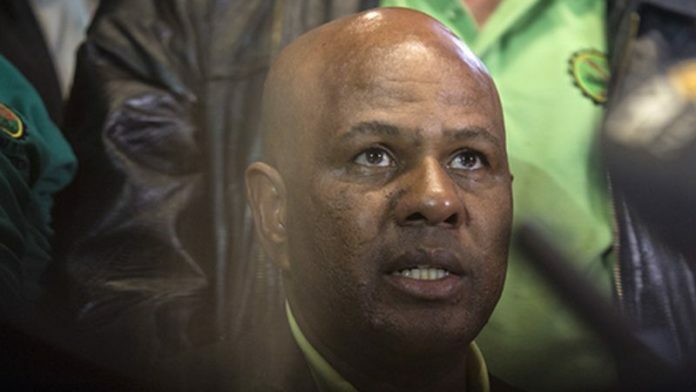 ASSOCIATION of Mineworkers and Construction Union (AMCU) president, Joseph Mathunjwa, lived up to his billing as “a s**t-stirrer of note” by chairman, Bernard Swanepoel, when he launched an all-out attack on Sibanye-Stillwater CEO, Neal Froneman in Johannesburg today. Introducing Mathunjwa to the Platinum Group Metals Industry Day investment conference Swanepoel commented: “Joseph’s official CV should say s**t-stirrer of note; kicked out of the National Union of Mineworkers by (current mines minister) Gwede Mantashe”. “When you get kicked by Gwede out of a bunch of s**t-stirrers you must be a world-class s**t-stirrer,” he said. He then broadened his attack to include the current ANC government under the leadership of Cyril Ramaphosa and the Minerals Council which he claimed was no different from the former Chamber of Mines. “The culture has not changed since 1902,” he said. The AMCU strike on Sibanye-Stillwater’s gold mines could have already been resolved except for the fact that “… the State – Cyril Ramaphosa’s government – is helping Sibanye to break the AMCU strike. We have evidence of this. They have this toxic relationship as if they have never learnt anything from Marikana”. Asked by Swanepoel whether that meant AMCU would not be supporting the ANC in the upcoming elections, Mathujwa replied that AMCU had “not made a call” on which political party it might support, but that call might be made on May 1. Where does he think the money will come from to pay people? ?